Don’t know how to swim or scuba dive? No problem. A semi-submarine boat, the GoOcean Penguin, is designed to offer underwater rides that will take you through water with you relaxing inside. 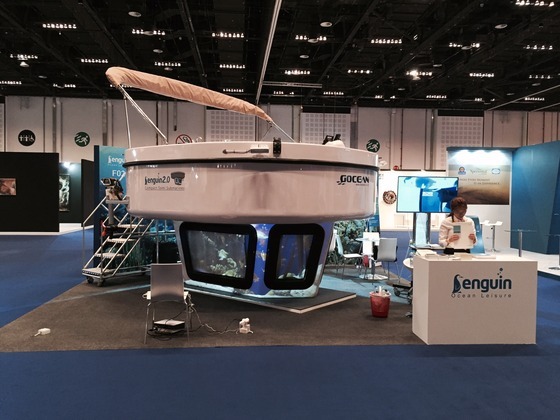 Although you cannot test the boat at the exhibition, you can explore the inside. Penguin Ocean Leisure manages sales and operation of PENGUIN, the world first compact semi-submarine developed by Gocean. PENGUIN is sailing in the Maldives, Seychelles and Chengdu in China and aimed at becoming must-ride excursion all around the world’s premier resorts. We will be the most competitive maritime cultural contents developer with PENGUIN. With exhibitors from all over the world, displaying the rarest and the most unique products ever seen, Big Boys Toys invites you to come join us for a weekend like never before! If you are in Abu Dhabi or the surrounding areas, visit us to ‘Experience the Unbelievable’. The wonderful thing in front of you is called Penguin, and it’s the first compact semi-submarine motor boat and probably the hottest new way of exploring the Maldives. 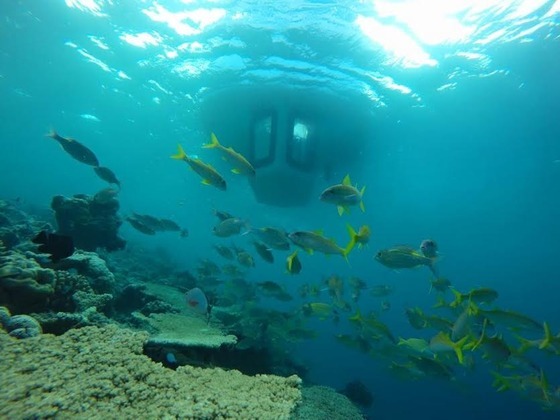 Developed by Gocean, this semi-submarine aims to be another cool feature of the world’s premier resorts in the Maldives, Seychelles, and Chengdu in China, offering tourists a new way of relaxing and having fun. 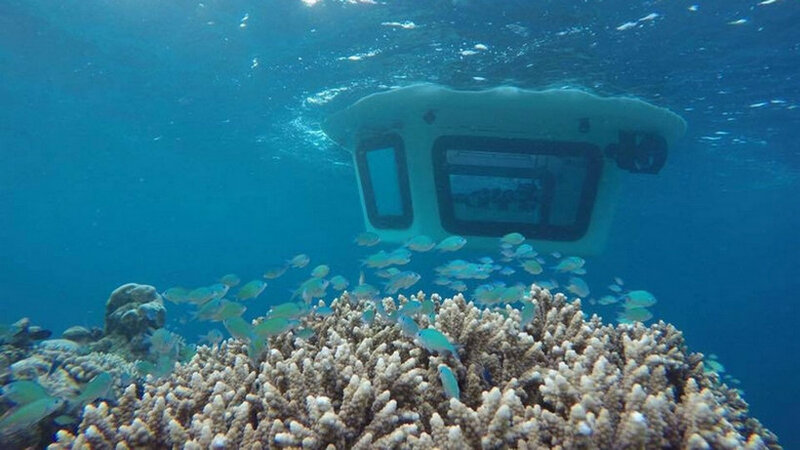 This submersible is capable of diving, but it won’t remain entirely submerged below the water surface. That’s why we could say this Penguin would allow anyone to explore the undersea, even those people who are a little bit afraid of drowning or sinking. There are no complicated controls or operations either, thus allowing tourists full enjoyment of the fantastic underwater life. Along with exploration under the sea, the Penguin also offers the possibility of fishing, snorkeling, scuba diving or sunbathing. And the best thing might be that this vessel is also eco friendly, using only an electric motor, which promises 8 hours of running, so it won’t discharge any pollutants, nor will it damage nature. Penguin seems to be an inspired name for this semi-submersible, although these adorable creatures are more often seen in cold waters. I guess just a few of us would have the desire to explore them and experience the cold.